Manages all services performed by the Consulting Group. 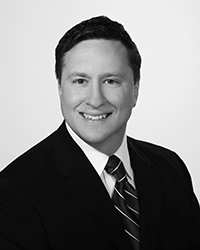 Chris participates in client discussions, reviews calculations and reports, and provides technical expertise. Since 1991, Chris has served over one thousand public sector entities throughout the country. His work has encompassed thousands of bond issues totaling over one hundred billion dollars. He holds a Certified Public Accountant's Certificate and is an associate member of the National Association of Bond Lawyers (“NABL”). Prior to joining the Consulting Group he was the Public Sector Industry Director for the Nebraska/Iowa practice of an international accounting firm. Supervises the day-to-day delivery of the tax-exempt bond services. He reviews detail computations, assists in complex analyses, and manages the timely delivery of all reports. Jeff has been with the Consulting Group since 2000 and has worked in the arbitrage rebate field since 1992. In addition, he has a broad municipal finance background including continuing disclosure, special financing districts, budgeting, and forecasting. Jeff is also an associate member of NABL. Prior to joining the Consulting Group he was a Manager for the Arbitrage Rebate Services Practice of an international accounting firm. He has been an analyst for the Consulting Group since 2005, and has a wealth of experience in performing rebate calculations and verification reports. Fred has worked on all types of issuers, including state and local governments, health care providers, colleges and universities, public power and utilities, secondary education, and not-for-profits. He also has significant experience in performing complex analyses related to transferred proceeds, parity fund allocations, and variable rate bond yield calculations.